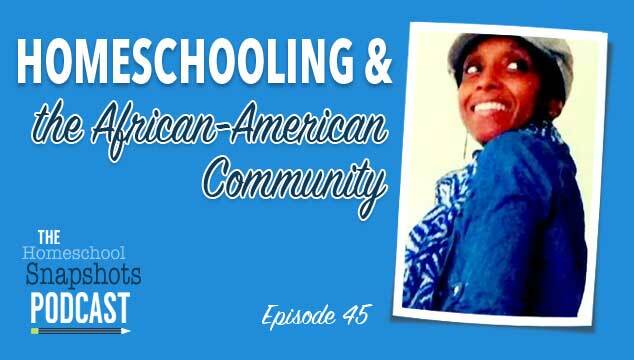 Camille Kirksey is joining us today in response to a couple of listener requests for a guest who spoke specifically about what it is like to homeschool as an African-American. How is homeschooling viewed in that community and what are some of the challenges? Camille is a wonderful and vivacious guest. 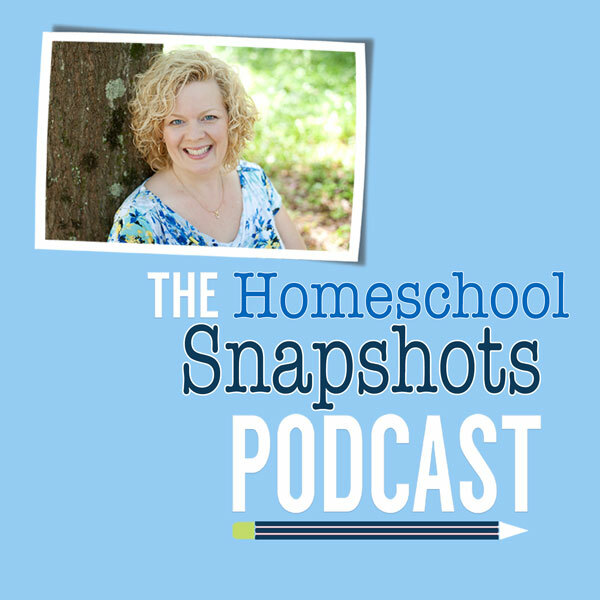 Comfortable on air (don’t miss her YouTube channel), she has insights on the title topic and a ton of other homeschool information. This is a fun one. Thanks for taking the time to add cultural diversity to your podcast guest. Camille is an awesome blogger and vlogger. I can so relate to her feeling like “Little House in the Big Woods” was how she imagined her ideal homeschool. Lol! My husband and used to joke about being Ma and Pa Ingalls. I can’t express enough how helpful this episode was! I am pasty-white Appalachian and my beloved husband is African-American. We have 2 daughters. When I met my man I was a single home schooling mom and he didn’t even know it was possible to teach your own. Now we have kids together and he whole heartedly supports me in home education. These resources are wonderful and I can’t wait to look you up on YouTube! Thanks you!!! I think this podcast episode is going to change my life!!! Not only is this inspirational in keeping history and literature multicultural BUT this loop cleaning…. I am blown away! I have 10 weeks until I have to have my entire house packed to move (8th move in 25 years) . Moving Day has never gone well due to too much clutter/stuff and lack of organization. This is going to change!! The combination of zone deep cleaning/decluttering with packing is going to work! Thank you so much Pam, Camille, and the podcast team!!! I am excited and not fearful! You’re welcome Juliana, and thanks for listening! Yes, zone cleaning is definitely a game changer. I’ll be sharing more on it in the future because it has had such a positive impact on my life. Oh, and good luck on your move! I second this. Zone cleaning sounds like the perfect thing for me. I am looking forward to seeing what else you have to share about it. I was so excited to see that there was a guest on Pam’s show from the D!! My husband and I grew up downriver but have been living in Alabama for the last 8 years. We are in process of relocating back to the area – my husband is working in the city right now. I had no idea there was a homeschool community in Detroit! I love it. Thank you for giving a list of your favorite books. I really appreciate to efforts to represent history in a pure light. I would love to see a complete list. Yes, the homeschooling community is alive and well in and around Detroit. You’re welcome for the book recommendations and keep an eye on my blog, homeschoolingintheD.com, because I’m working on the resource list that will be published in the next few weeks. And yes and no regarding the homeschool group, LOL. We flow in and out of a local co-op and will hopefully be participating a different homeschool group this fall. As far as tips, MI is a very wonderful state to homeschooling in because there’s no oversight, testing, etc. required by the state. I’d first go here (https://www.hslda.org/hs101/MI.aspx?State=MI&amp😉 to check out what the law says. Other than that, the easiest way I’ve found to find other homeschoolers is on social media. I’m part of several FB groups for MI homeschoolers – too many to post here. You’ve inspired me to create a blog post helping new MI homeschoolers to get started homeschooling here. Thank you! Thanks for adding diversity to your podcast! I really enjoy watching Camille’s videos. Hi Camille! I love Pam’s podcast and her blog. It’s nice to hear someone from my hometown on here. Our family is just outside of Detroit on the eastside. I can’t wait to check out your blog and Youtube channel. I really enjoyed the podcast. I wanted to point you and everyone to a source for multicultural books that I found somehow (super blessed!). Her website is amazing. She has an incredible amount of book lists broken up by subject/etc. So many that it is almost overwhelming! We have found many, many good books by using her lists. If you go to Books and then at the bottom, select Index of Books, on that page there is a Multicultural heading with several links that lead you to a list of books for each Subject Area. Hope that helps. I just listened to this episode. Thank you for the interview. I agree completely about being represented in the information that we present to our children. Thank you so much for including the links. I am excited to add these books to our reading list.